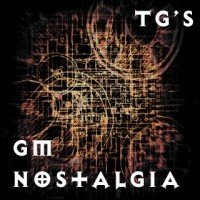 It is already time for the 8th GM Nostalgia post, time does fly and that is exactly what this series of posts is all about. 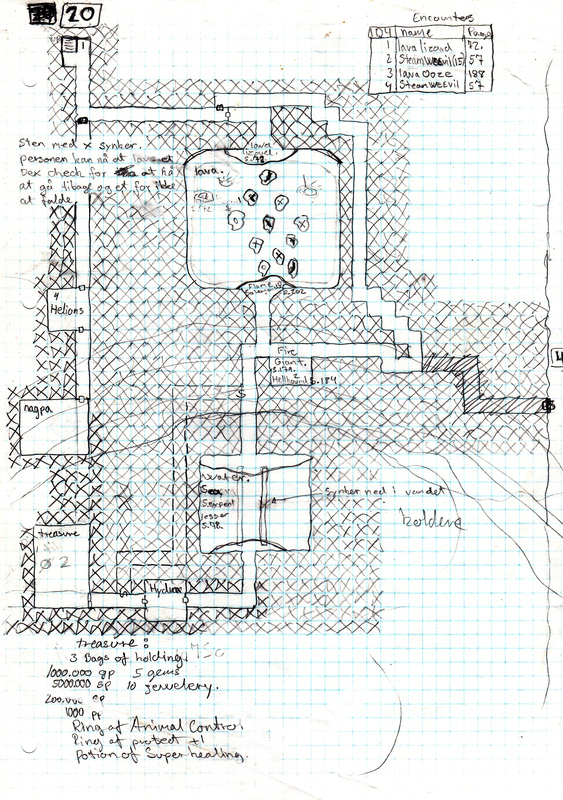 I’m going back over my old GM stuff and we are coming up on the final map of the Lich’s Pet Dungeon, my very first home made dungeon. It seems traps are still a thing in map 4, we got a room full of lava with stepping stones and some of them will sink into the lava if stepped on! It appears this upper part of this level has a fire/lava theme, and the lower part of the map has a colder theme. We got a room with a sea serpent that lurks there for a happy meal. The beams spanning the water sinks into the water, apparently I had a thing for stuff sinking into dangerous “water”. I’m not quite sure where you find the Lich.. maybe he is not residing in the dungeon at all. After all this is where he keeps his “pets”. He might be shacked up somewhere else entirely. These 4 levels could just be his playground and adventurers who end up dead often leave loot behind. I did have a corridor leading out, but for some reason i blacked it out, there are no notes on this however. This map has no extra page with room content, everything is written on the map itself. Just like the previous level. I think there might have been a few years between the first and the last map.